Here you can export all users to a text file. The set of users can also be restricted to members of one or more groups. Users in groups … – This option can be used to limit the set of users that are exported. 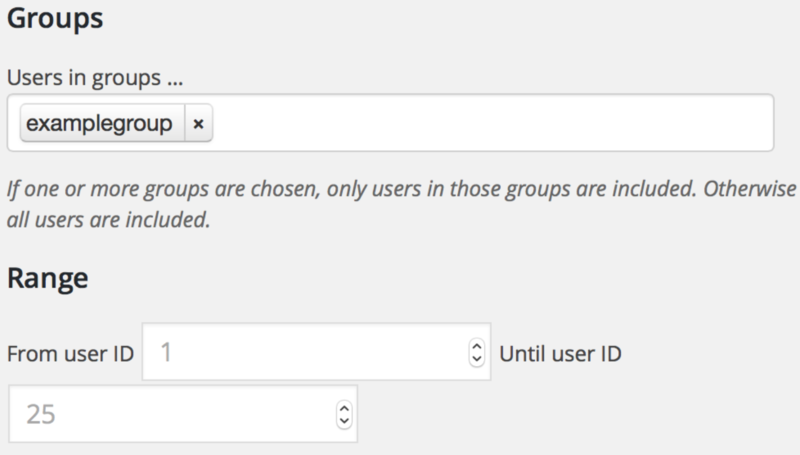 If one or more groups are chosen, only users in those groups are included. Otherwise all users are included. Range – The set of users can be limited by indicating a range of user IDs. 4) Go to the downloads folder of your PC. The view below shows the users list exported. Include extended user profile data – If enabled, the meta column will hold the complete set of user meta data for each user. Use separate columns – This option allows to use an alternative format for extended user profile data. Instead of using a single column that holds all user meta data, each meta data key is exported in a separate column. Include a column header – This option adds a @ column order line. Extended user profile data choice – The set of profile data (user meta) that is included for each user can be limited here.